Women’s football: a more honest game? Football today is a high profile, corporate affair driven by vast sums of money. But the game is in trouble. Premier League footballers command astronomical fees, fans are sidelined as ticket prices skyrocket, and recent corruption scandals have rocked FIFA to the core resulting in the (probable) resignation of President Sepp Blatter. And so we come to the FIFA Women’s World Cup 2015 in Canada, which for many must come as a breath of fresh air after all the sleaze. It seems that in the UK, women’s football – the Football Association Women’s Super League (FA WSL) – is light years from the Premier League in many respects. No scandals, no arrogant, brattish players, no WAGs and no silly money. But the most obvious difference is payment. 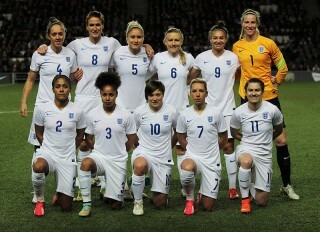 If any industry was to illustrate the gender pay gap, football is it. Last year Manchester City reportedly paid their – male – team members an average of £5,015,122; the players on the England women’s team can expect to earn around £20,000 per year. Other women players receive much less. As well as competing at a national level, most women football players have day jobs – many in the sports arena, but there are doctors and lawyers in the league, too. Full-time female professional footballers are still comparatively rare. Of course, one could argue that supply and demand dictate the level of investment. Women’s football simply isn’t as good as the Premier League. But isn’t this a case of chicken and the egg? Would more investment not mean a better quality game? BBC Newsbeat recently published an interesting article on ‘The Secret History of Women’s Football’. During the First World War women’s football was hugely popular in the UK, with some games attracting crowds of over 50,000. To put this into perspective Everton men’s highest attendance this season was 39,000. Sadly, at the time the Football Association (FA) deemed football ‘unsuitable for women’ and banned the game. The ban wasn’t lifted until 1971. No wonder the FA WSL lags behind the Premier League today. However, perhaps this lack of investment has fostered a different environment on the pitch. The level of corruption associated with FIFA just isn’t present in women’s football. And you don’t see spoiled, arrogant over-paid players who make headlines for all the wrong reasons. You do, however, have a group of successful, committed, skilled women who are excellent role models for girls and women. And there are significant investment inroads being made into women’s football. Energy and communications firm SSE has agreed a four-year sponsorship deal with the Women’s FA Cup, and more businesses are waking up to the growing popularity of women’s football, and how much it makes sense to join in. Premiership football has made huge advances in cleaning up the game, drastically reducing football hooliganism and violence, making football much more family friendly. Racist and homophobic football chants are often met with club fines and vigilant responses. Football today is radically different to what it was in the 1980s. Let’s hope the next step is to raise the women’s game.